Skeletal Deformities in Seabreams. Understanding the Genetic Origin Can Improve Production? Europe represents the largest market for fish in the world. In Europe, aquaculture accounts for about 20% of fish production and directly employs about 85,000 people (European Commission, 2017). EU aquaculture is renowned for its high quality, sustainability and consumer protection standards. In 2015, the European aquaculture production reached 2,350,278 tons. The 94% of that amount represented by salmon, trout, seabream, seabass and carp. In the Mediterranean region seabreams represented the 45% of the marine production (FEAP, 2016) with the juvenile production, for stocking on growing farms, to be stable at 1,100 million (FEAP, 2016). According the 2016 Annual Economic Report (2016) the total value of sales from the EU aquaculture sector is reported at 4,517 million € in 2014. This represents a 3% increase to the 4,365 million € reported in 2012, although there was a 4% decrease in the production. Gilthead seabream represented the 13% (548 million €) of the total 2014 EU aquaculture production (Annual Economic Report, 2016). Seabream is commercialized as whole fish at 350-500 g and any malformation is a limiting factor in their purchase by consumers. Deformities are a complex mixture of different bone disorders including vertebral and spinal malformations such as kyphosis, lordosis, scoliosis, platyspondyly and vertebrae fusion. Other deformities include neck-bend, compressed snout, bent jaw, harelip or front and downwards protuberance of jaw; reduction of lower jaw, short operculum, reduced or asymmetric fins, etc. Deformities reduce the physiological ability of fish for a correct development i.e. reduce their growth rate, increase their mortality rate and significantly affect the animal welfare. The presence of deformities is the second most economically important trait for the industrial production of gilthead sea bream (Georgakopoulou et al., 2010). The development of the skeletal deformities is not well understood and related with nutritional, environmental and genetic factors (Fernadez et al., 2008). They are induced during the embryonic and post-embryonic periods of life. Deformed fishes are a negative affect to the turnover of hatcheries and ongrowing companies. Their presence downgrades the quality of the product and reducing its value. Fishes with skeletal deformities live less than the normal ones and are not preferred by the consumers. Deformed fishes have to be removed manually and repeatedly from production and products from these fish are often downgraded to fish meal (flour) with loss of profit (Boglione et al., 2013). A hatchery with a total annual production of 22,000,000 seabream fries has a 0.066 € cost per fry. With a 60% loss of the total production (due mortalities or skeletal deformities) the mean cost per fry is almost doubled to 0.11 € (Theodorou and Venou, 2012). One of the main stages of marine aquaculture production is the larval production. The last decades have been made several improvements in hatchery rearing technology and broodstock selection techniques (Theodorou, 2002; Pavlidou, 2009). However, skeletal deformities still represent a major factor of fry losses for the hatcheries. In marine hatcheries skeletal deformities can affect 7-20% on average of the produced juveniles, whereas occasionally this incidence has been shown to elevate at 45- 100% (Georgakopoulou et al., 2010). Skeletal deformities, such as those affecting neurocranium or head, vertebral column and appendicular skeleton, are the most significant deformities since they affect directly to production traits. Deformities of the operculum affect almost 80% of the farmed gilthead seabream (Andrades et al., 1996; Verhaegen et al., 2007). Moreover, customers rarely accept fish showing jaw malformations (Bardon et al., 2009). Commercial hatcheries and on-growing companies have to eliminate abnormal individuals from their batches before they enter the commercial market. The prevalence of vertebral deformities in gilthead seabream strongly reduce the commercial value of slaughtered fish per kilogram, with losses that can reach €1 per kilogram (Lee-Montero et al., 2014). Genetic factors are possibly responsible for the prevalence of different skeletal deformities in different species. In gilthead seabream, only a few studies have proposed a genetic origin for some types of deformities. A consecutive repetition of lordosis, scoliosis and kyphosis (LSK) from the head to the caudal fin was described by Afonso (2000) and statistically associated with the family structure. The genetic origin of that syndrome was also confirmed by Negrín-Báez (2015a). According to Lee-Montero et al. (2014) part of the phenotypic variation of the presence of deformities in gilthead seabream, mainly vertebral deformities, is determined by a relevant additive genetic component. Heritabilities at different ages appear to be medium for growth traits and vertebral deformities, and low for head deformities and lack of operculum (Lee-Montero et al., 2014). García-Celdrán et al. (2016) found a positive genetic correlation between lordosis and uninflated swimbladder. Lack of operculum, lordosis and vertebral fusion have also a genetic origin. When sires suffering from lordosis or lack of operculum or vertebral fusion deformities mated with non-deformed dams, a significant relationship between each deformity prevalence and the mating of breeders suffering from the same deformity was observed (Negrín-Báez et al., 2015a). A significant prevalence of lack of operculum in offspring from lordotic matings was also observed by Negrín-Báez et al. (2015a). Quantitative trait loci (QTL) were identified for lordosis, vertebral fusion and jaw deformity in gilthead seabream (Negrín-Báez et al., 2015b). For the vertebral fusion deformity, one significant QTL located in linkage group LG 21 and two suggestive QTL located in LG4 and LG13 were detected. For jaw deformity, one significant QTL located in LG13 and one suggestive QTL located in LG16 were detected. For lordosis, one significant QTL located in LG9 at chromosome and genome-wide level and one suggestive QTL located in LG22 were detected (Negrín-Báez et al., 2015b). High mortalities of early stages (20-85%) are common in marine aquaculture and attribute to large economic losses. Any effort of reducing the cost of production even only through reduction of the incidence of the deformed fry becomes necessary (Theodorou and Venou, 2012). The prevalence of skeletal anomalies in farmed fish suggests that we still need to improve our knowledge about genetic and epigenetic factors that can cause skeletal anomalies under rearing conditions. Any effort towards the reduction of the production cost even based only on the reduction of the deformed fry is expected to have significant impact on hatchery economics. The only possible actual solution of the problem of skeletal anomalies basically relies on the determination of the causative factors and to the subsequent application of appropriate practices at the hatchery level. A detailed description of the total ontogenesis of each skeletal anomaly should be obtained in order to distinguish between the different anomaly typologies and the ontogenetic steps of the same anomaly, as well as to comprehend the anomaly fate (recover aggravation, sub-lethality, and lethality). Genetic improvement is one of the most promising tools for the gilthead seabream industry in order to reduce the prevalence of deformities. It can be more effective than the sorting process at significantly improving fish morphological quality. Genetically selecting the appropriate breeders for non-deformed individuals is expected to decrease the incidence of deformities in hatcheries and will increase aquaculture sector gains. Andrades, J.A., Becerra, J., Fernandez-Llebrez, P. (1996) Skeletal deformities in larval, juvenile and adult stages of cultured gilthead sea bream Sparusaurata L. Aquaculture 141, 1-11. Afonso, J.M., Montero, D., Robaina, L., Astorga, N., Izquierdo, M.S. (2000) Association of a lordosis-scoliosis-kyphosis deformity in gilthead seabream (Sparusaurata) with family structure. Fish PhysiolBiochem22, 159-163. Bardon, A., Vandeputte, M., Dupont-Nivet, M., Chavanne, H., Haffray, P. et al. (2009) What is the heritable component of spinal deformities in the European sea bass (Dicentrarchuslabrax)? Aquaculture 294, 194-201. 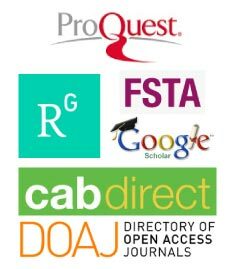 Boglione, C., Gavaia, P., Koumoundouros, G., Gisbert, E., Moren, M. et al. (2013) Skeletal anomalies in reared European fish larvae and juveniles. Part 1: normal and anomalous skeletogenic processes. Reviews in Aquaculture 5, 99-120. European Commission [internet]. Annual Economic Report of EU aquaculture sector 2016. Reports of the Scientific, Technical and Economic Committee for Fisheries (STECF)-Economic Report of EU aquaculture sector (STECF-16-19). Fernández, I., Hontoria, F., Ortiz-Delgado, J.B., Kotzamanis, Y., Estévez, A. et al. (2008) Larval performance and skeletal deformities in farmed gilthead sea bream (Sparusaurata) fed with graded levels of Vitamin A enriched rotifers (Brachionusplicatilis). Aquaculture 283, 102-115. García-Celdrán, M., Cutáková, Z., Ramis, G., Estévez, A., Manchado, M. et al. (2016) Estimates of heritabilities and genetic correlations of skeletal deformities and uninflatedswimbladder in a reared gilthead sea bream (Sparusaurata L.) juvenile population sourced from three broodstocks along the Spanish coasts. Aquaculture 464, 601-608. 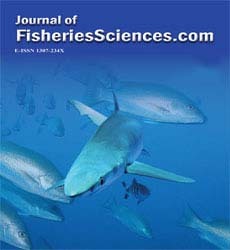 Georgakopoulou, E., Katharios, P., Divanach, P., Koumoundouros, G. (2010) Effect of temperature on the development of skeletal deformities in gilthead seabream (Sparusaurata Linnaeus, 1758). Aquaculture 308, 13-19. Lee-Montero, I., Navarro, A., Negrín-Báez, D., Zamorano, M.J., Berbel, C. et al. (2015) Genetic parameters and genotype–environment interactions for skeleton deformities and growth traits at different ages on gilthead seabream (Sparusaurata L.) in four Spanish regions. Animal genetics 46, 164-174. Negrín-Báez, D., Navarro, A., Lee-Montero, I., Soula, M., Afonso, J.M. et al. (2015a) Inheritance of skeletal deformities in gilthead seabream (Sparusaurata)–lack of operculum, lordosis, vertebral fusion and LSK complex.J animal sci, 93, 53-61. Negrín-Báez, D., Navarro, A., Afonso, J. M., Ginés, R., &Zamorano, M. J. (2015b) Detection of QTL associated with three skeletal deformities in gilthead seabream (Sparusaurata L.): Lordosis, vertebral fusion and jaw abnormality. Aquaculture, 448, 123-127. Pavlidou P. (2009) Present and future status of Mediterranean fry. In: Proceedings of Finfish Training Course on Prevention of Malformations in Sea Bass and Sea Bream. Athens, Greece. Theodorou, J.A. (2002) Current and future technological trends of European seabass-seabream culture.Rev.Fish. Sci., 10, 529-543. Theodorou, J. A., Venou, B. (2012) Production economics of Gilthead sea bream (SparusAurata, L. 1758) fry originated from different genetic sources of broodstock. In: Proceedings of 10nth Panhellenic Symposium on Oceanography and Fisheries. Athens, Greece. Verhaegen, Y., Adrianes, D., de Wolf, T., Dhert, Ph. &Sorgeloos, P., (2007) Deformities in larval gilthead sea bream (Sparusaurata): A qualitative and quantitative analysis using geometrics morphometrics. Aquaculture, 268, 156-168.